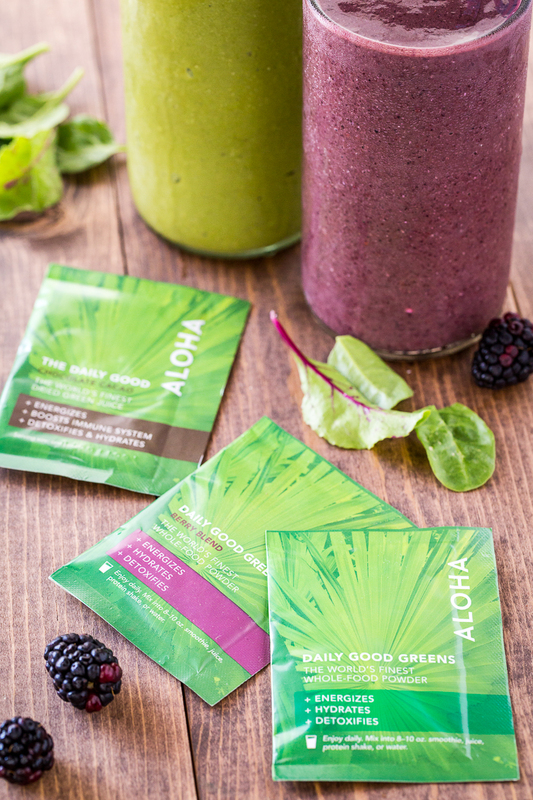 ALOHA Daily Good Greens & Superfood Chocolate: Review & GIVEAWAY! If you’re a regular here a Keepin’ It Kind, there are a couple of things you’ve probably gathered about me: An abundantly healthy smoothie for breakfast is totally my jam and I’m all about chocolate, pretty much 100% of the time. 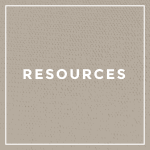 When ALOHA, a company that makes both healthy, superfood-packed chocolate and nutrition-packed daily green powders (to be added to your water, juice, smoothies, or whatever you desire), contacted me about reviewing their products, the decision was a no-brainer. They’re products have “Kristy” written all over them (in the figurative sense, thank goodness). 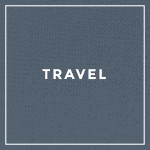 In Hawaiian, the term “aloha” is used as a greeting but actually translates to “sharing the breath of life.” ALOHA has really embraced this ideology and seem to share “the breath of life” in each of their products. By only using nutritionally-dense whole food ingredients, they’ve created products to help us live as healthfully as possible. We need to eat a wide variety of plants to be able to meet our nutritional needs and ALOHA has made an effort to pack a variety into their products, making the task of getting our nutrients very simple for us. Seeing as how I love a big nutritious smoothie for breakfast, I decided to try the Daily Good Greens, their whole food powders, to mine and Chris’s morning smoothies. 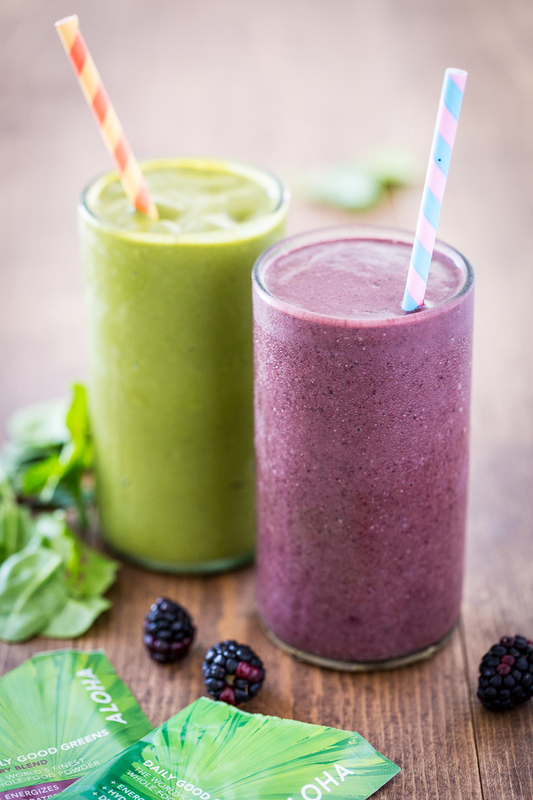 I used the green blend in my favorite Energizing Peach Green Tea smoothie and the berry blend in Chris’s banana berry smoothie. They didn’t alter the flavor at all but I did notice that I felt completely satisfied for a long time after (I didn’t get hungry again until much later than I normally would). There’s also a chocolate blend but I haven’t had a chance to try that one yet (though I’m doing to put one in my Cacao Berry Bliss Bowl!). I love that the powders come in small, portable packets, making it easy to get my vitamin-packed smoothie even when I’m on the go. 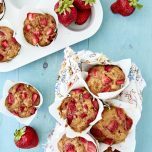 I’m looking forward to taking them on an upcoming trip to visit family so I can add them to almond milk, water, or even a store-bought smoothie. 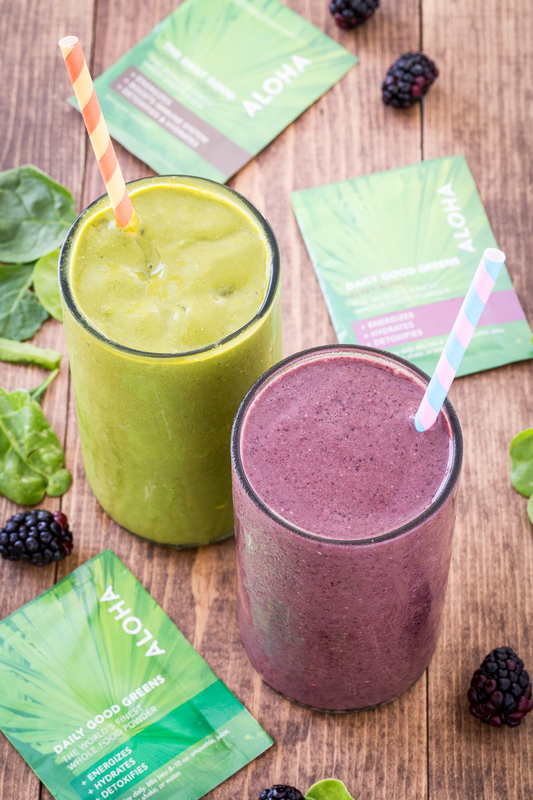 A supply of 30 Daily Good Greens packets costs $75– that’s a whole lot of nutrition for only $2.50 per day! And The Chocolate. Oh my goodness. 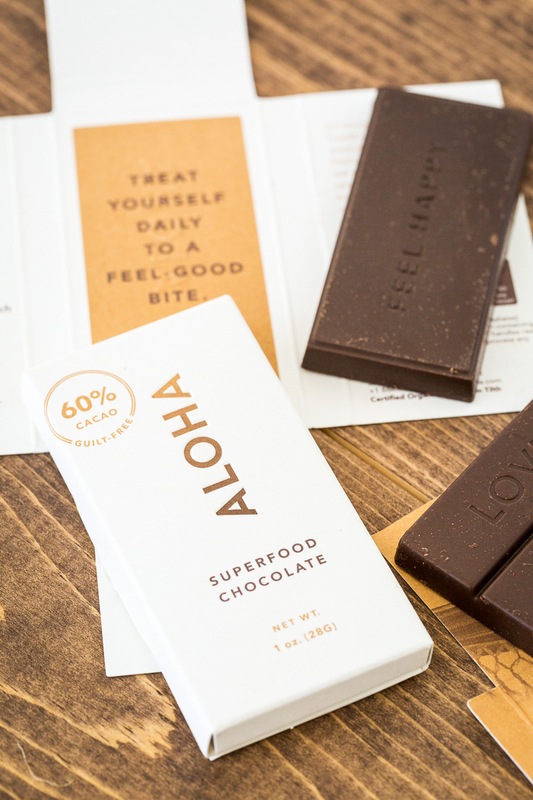 Chocolate isn’t the typical place one would turn to when searching for a high dosage of superfoods, but ALOHA has found a way to make chocolate bars that are both delicious and super nutritious. 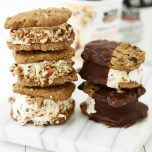 I love that while the chocolate is smooth and luscious, it’s also packed with their superfood powder blend, ensuring that every bite delivers both the flavor and the nutrition. I love that it’s sweetened with coconut sugar so I don’t have any crazy blood sugar episodes. 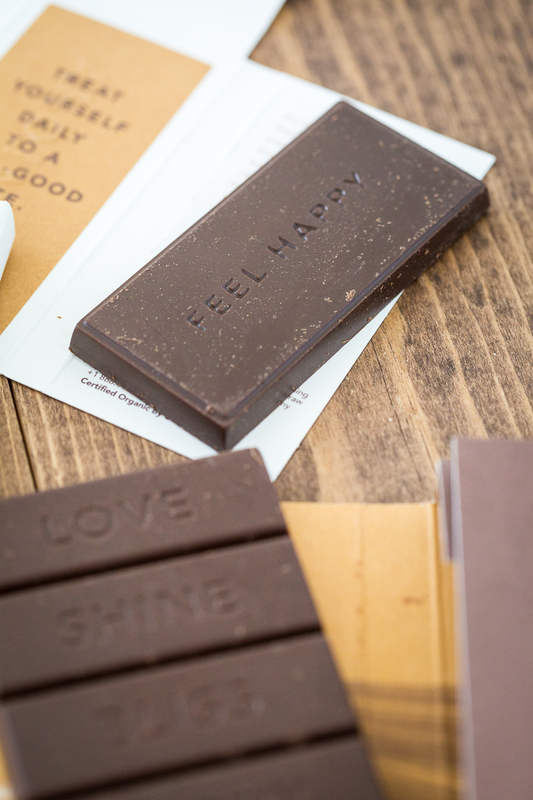 I love the sweet messages inscribed on the chocolate itself; things like “Bliss,” “Shine,” and “Feel Happy.” I love that this chocolate really does make you feel happy. 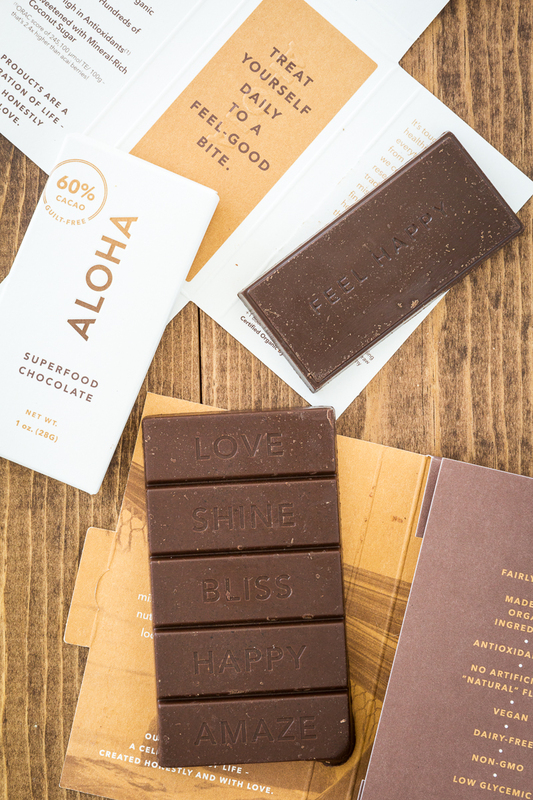 I am so stoked that ALOHA is letting me give away a 6-pack of their Superfood Chocolate (normally a $49 value)! 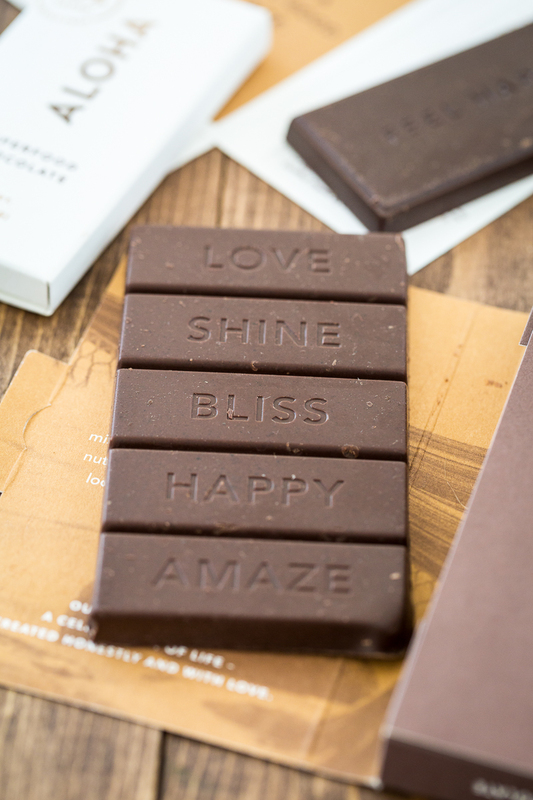 If you’re a chocolate-lover like me or even if you’re looking for a tasty treat to help you squeeze in those extra vitamins and minerals, you’re sure to love their adorable, blissfully delicious chocolate bars! The giveaway will run through 11:59pm PST on April 16th, 2015 and is open to US residents only (I’m sorry, my international friends!). Please use the box below to enter. Thank you so much to ALOHA for allowing me to review their products and host this giveaway! Thank you all for stopping by! Aloha! Disclaimer: I was given these products to review and was compensated for this post but the thoughts and opinions expressed here are my own. 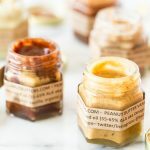 Bella Nut Butters: Review & GIVEAWAY! 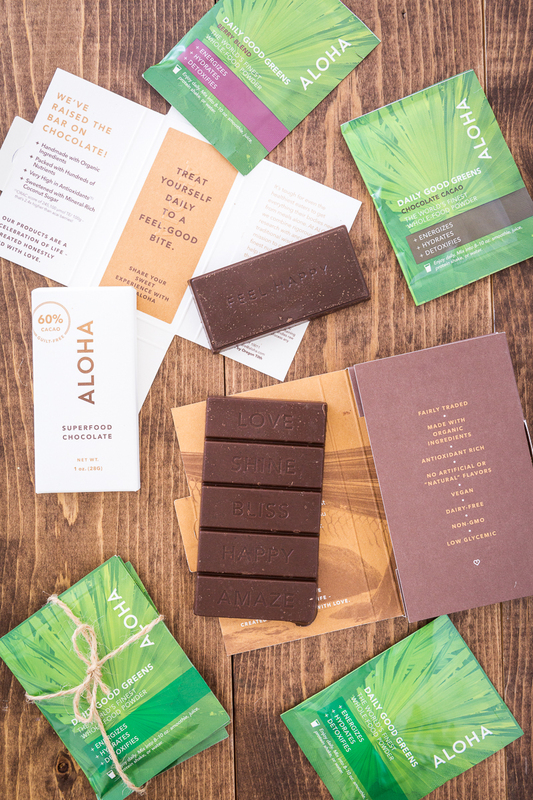 86 Responses to "ALOHA Daily Good Greens & Superfood Chocolate: Review & GIVEAWAY!" I “Aloha” by striving to make every day special and meaningful for my family! 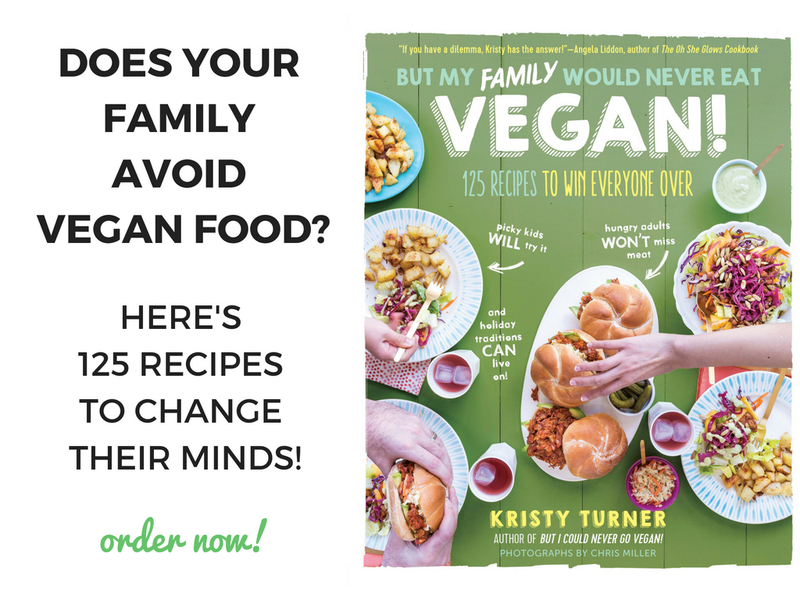 I think feeding my family good quality, plant-based meals is my insurance that I’m doing my part to give a breath of life. I would never ever sacrifice in that area for anything! 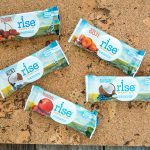 We’ve tried the protein powered by ALOHA before and I was pleasantly surprised (hubby really loved it), but have never tried these packs out yet. And to the chocolate- I LOVE the message on the bar. I absolutely favourite chocolate ever (raw and vegan) is called Giddy Yoyo and it’s the most amazing superfood. They actually hail from my small town in Canada that I’m originally from, so it’s an added bonus (when I go home and can raid their warehouse haha!). I “aloha” by always trying to improve so that my fellow humans, my non-human animal friends, and the planet can coexist as happily as possible! I “aloha” by helping others get healthy–through bootcamps and through leaning towards plant-based eating! 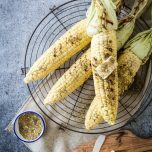 As a public health nutritionist, I share healthy eating and cooking tips with others. 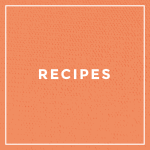 I also like to share healthy recipes that I concoct. I share the breath of life by leading a keeping a bright, positive outlook on life. I believe everything happens for a reason and we must see the good in everything. All we have is a gift, and our experiences are gifts that have the ability to make us better people inside, allowing us to learn humility, and help others through that humility. I share the breath of life by keeping my body healthy, and by doing as much as I can for others. I aloha by introducing people to healthy plant based foods! 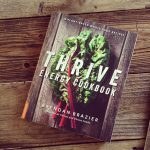 As a plant based whole food, life coach, I encourage people to eat well to live well! I aloha by spending quiet time every day with my daughter where we are just present with one another. 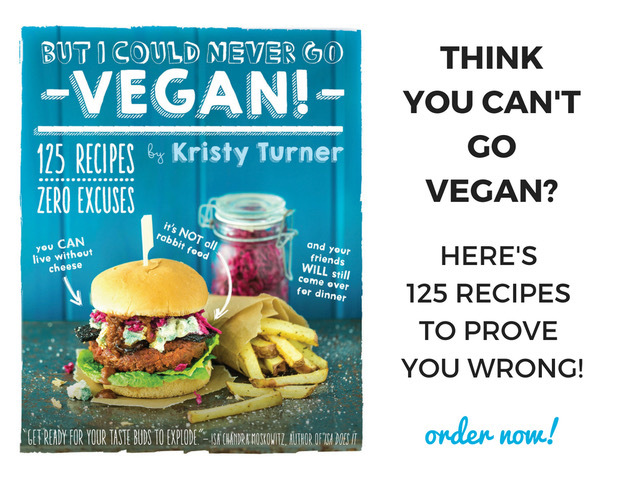 By not eating animals! Let them live! By waking up each day telling myself that this is a start of another fabulously beautiful day. Time to shine! I aloha by encouraging others to be their true selves. And by eating plants! I help friends and family by always being there for them and being supportive of their dreams. I help so many people with my job as an interpreter, making sure everyone understands everyone and facilitating so many interactions, meetings, research, etc that they could not participate in because of language barriers. And because I’m always so busy, I sometimes need some extra greens wherever I can sneak them in to stay healthy! The green powders would be great! I aloha by sharing delicious, healthy food with the people I love. I Aloha by allowing compassion to dictate my actions and decisions, from the food I eat to the way I treat those around me. by eating right, exercising and getting fresh air daily, and treating myself with dark chocolate! love Aloha’s products! And I aloha by teaching my children to be kind and good to others and themselves. smile at all i see! By helping my partner relax when he’s upset. By continuously evaluating my impact on the environment. I want to make sure there’s still a world left for generations to come. I aloha by showing kindness and compassion to everyone and everything I come into contact with as well as learning new things and sharing my knowledge with the world. By teaching my children how to live compassionately. walking the dogs and having them be able to interact with others. my aloha = spreading the good vibes. i try to find little ways to make everyday feel extraordinary for both myself and those around me. 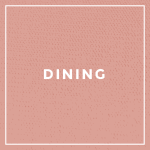 Cooking for my family and planning fun activities together. I aloha by trying to live compassionately when it comes to our animal friends on this planet and spread the message wherever possible. I just try to do the best I can every day, and I always try to smile at strangers! I Aloha by trying to make healthy, balanced meals for my son, and introduce him to new flavors, fruits and vegetables. With healthy thoughts and a prayer of good, peaceful energy into the world, I share my aloha. I “Aloha” by spreading the love all day every day! By spreading the positive energy, others get inspired to live a healthy lifestyle through nourishment, movement, and mental strength. I’ll be honest, I can’t say I really “aloha” like I should. But these comments are inspiring! 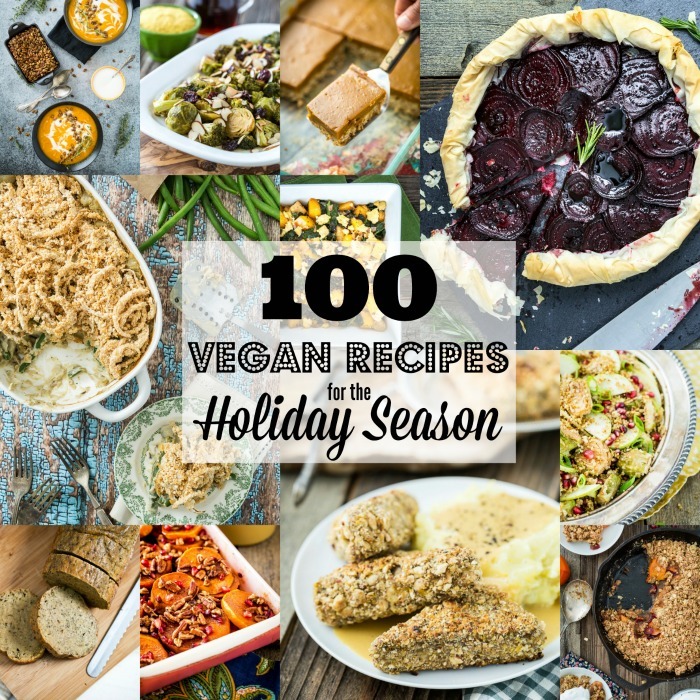 By creating and sharing healthy, delicious plant-based meals on my blog pumpkin & peanut butter! These smoothies looks delicious, Kristy! I try “aloha” by helping others, enjoy life, and take care of myself. i “aloha” by feeding others delicious, healthy food! To me, ALOHA means living spontaneously! I Aloha by eating a vegan diet, which is kind to the Earth, the animals and my body. I “aloha” by making sure me, my hubby, and our kitty eat healthy each day. I try to be kind and reduce suffering in the world by practicing random acts of kindness and eating a plant based diet. I ALOHA by eating clean 80% of the time! 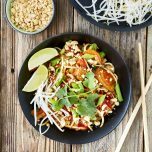 I aloha by setting an example for friends and family that eating a vegan diet can be delicious, interesting, and healthy. Sounds like I really need to practice more “Aloha” in my life! I aloha by doing my best to act with compassion and letting myself goof off as often as possible! I aloha by trying to be generous in my thoughts of others, not attributing bad motives, etc. I like to try bring happiness and kindness into the lives in my sphere of influence. I aloha by spending time with my beloved. We are making up for many years of singleness, lol! I aloha by being kind: I reach out in a friendly manner to everyone I meet, I eat a vegan diet, try to make eco-friendly decisions and I work and volunteer with rescue animals. I also try to be kind to myself! 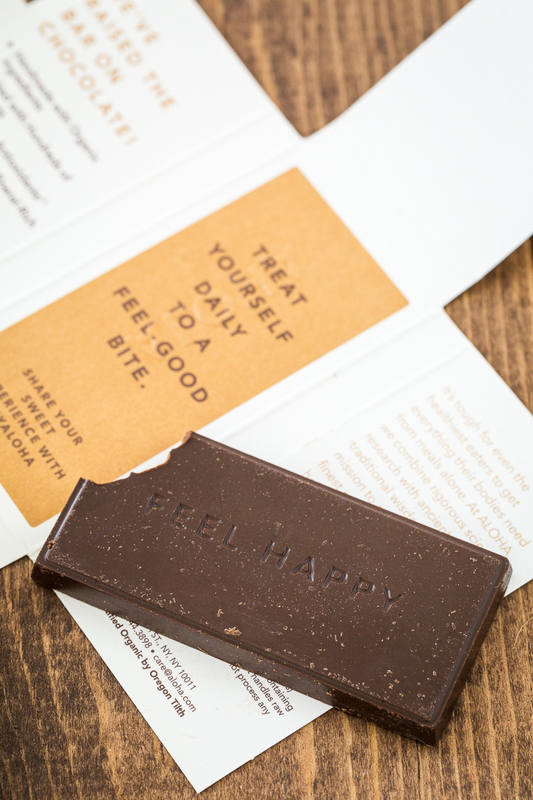 I’d love to try these chocolates as a form of self-care! I garden, volunteer, walk my dogs, and run. I aloha by running every day and breathing in all the great fresh life around me! I aloha by trying to speak with people through art. I think it is something special to speak to someone without direct words. I “aloha” by talking and educating people about their health. I aloha by taking care of my family and myself. I try to “aloha” each day by taking things one day at a time and taking care of myself and my loved ones each day. I’m going through some very big stressors right now, so this is sometimes challenging but very important to me! I “aloha” by working for a non-profit organization and volunteering extra time to plan community events that benefit the kids and families we service. I also make sure to take a little time for myself each day to manage stress. I “Aloha” by being kind of animals, taking time to enjoy life, and cooking delicious meals for my family as often as possible. 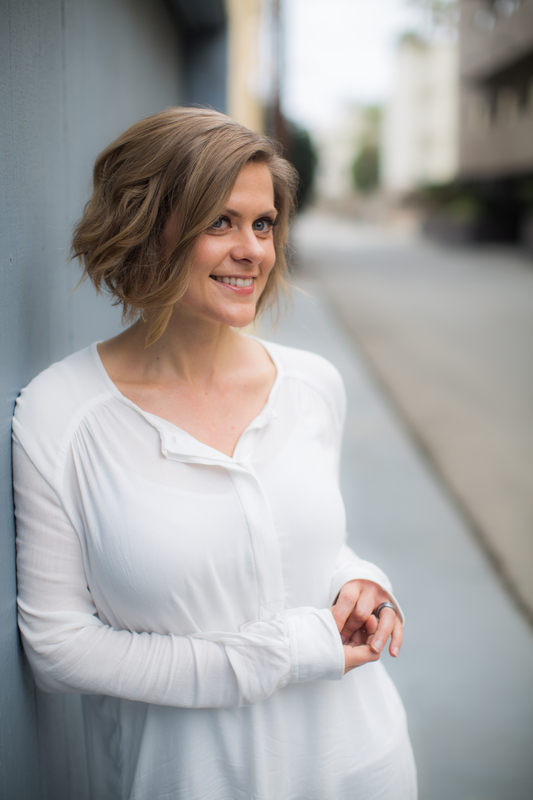 Clean eating, yoga, and a staying positive! By eating a little bit of chocolate every day and sharing it with coworkers! I aloha by doing yoga and hanging out with my dog and my husband! I share Aloha by not only feeding my family good, nutritious meals, but sharing with others when they ask about our plant-based way of eating. I also enjoy nature, and helping people in any way I can. I love to plant flowers so many who walk past our house (a public parks & rec walking path runs behind our house) can enjoy the beauty. Aloha! Sounds great, would love to give some to my vegan twins. I aloha by trying to live an honest and compassionate life. I take time to sit outside and just close my eyes and enjoy life. Truly life is a gift! I aloha by always striving to speaking well about others. I aloha by being kind to strangers and trying to give others the benefit of the doubt. 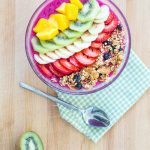 My Aloha = sharing what I have learned about being healthy with others on my blog! I aloha by trying to spread a smile instead of a frown. I eat a bounty of color, and try and be there for friends and family at all times. I aloha by living each day to the fullest and sharing positive vibes and healthy food with those around me. I try to be very positive, smile, and be polite to everyone. I ‘aloha’ by trying to live lightly on the planet.